Spring has sprung. That means it is time to change up your dining room tablescape for something fun and festive. Easter Sunday is around the corner, so we’re here to give you the 5 steps for creating the PERFECT Easter tablescape that will have your family swooning! Get ready for the bright colors, beautiful blooms, and gorgeous greenery that comes with the wonderful season of spring. Read on for your complete guide to decorating your Easter table! See why our athlete clients, and some of your favorite super stars choose to make Jupiter their home! The Palm Beaches area is the home of the PGA of America! There are 16 golf courses in Jupiter alone, but 70 golf courses just within 20 miles of Jupiter! This alone attracts the world’s best golfers such as: Masters winner Tiger Woods, Brooks Koepka, Rory McIlroy, Rickie Fowler, and many more. The Cressey Sports Performance team aids in training, physical therapy, and pitching instruction. 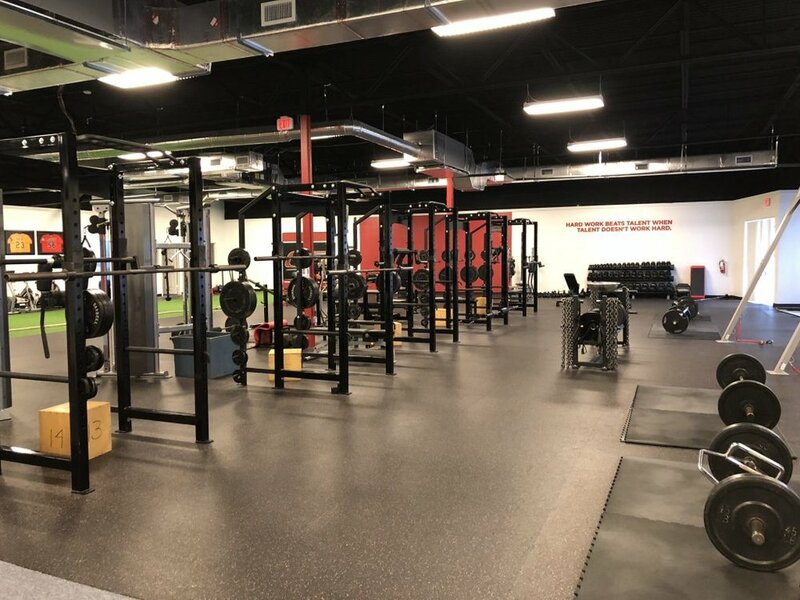 Eric Cressey, the owner of the Jupiter location spotlights professional baseball players and prepares their bodies in the offseason so they are ready to roll right into spring training. Athletes travel near and far just to workout with Cressey and his team! If you’re looking for a golf performance based workout, check out Joey D at the Sports Training Center! He focuses his athletes on the dynamics needed to have the perfect swing on the course! The Florida Institute of Performance also houses many professional athlete clients, mostly featured in the PGA tour! Try and find a better way to relax than spending an off day on one of our STUNNING beaches!… Don’t worry, we’ll wait! 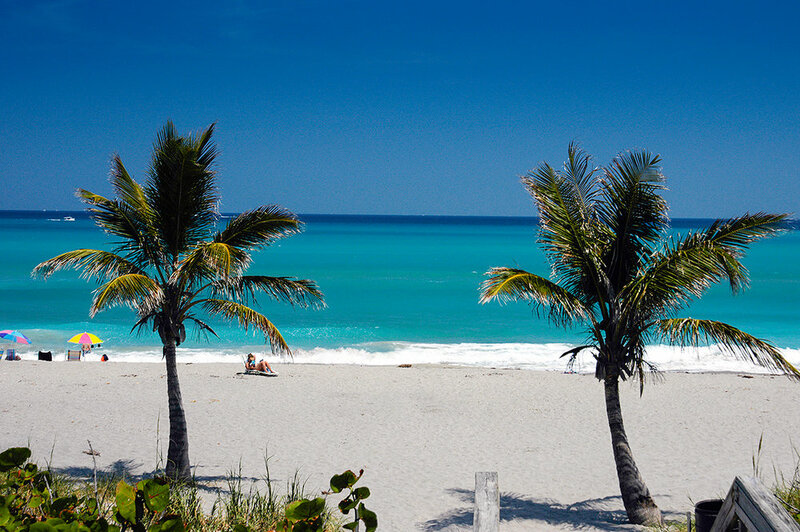 Jupiter has 4 miles of crystal clear water, white sand, and scenic views from any angle! Roger Dean Chevrolet Stadium is a home-town favorite. Every year, Roger Dean hosts the Miami Marlins and the St. Louis Cardinals for Spring Training as well as the Jupiter Hammerheads (Miami Marlins affiliate) for their regular season home games! The FITTEAM Ballpark of the Palm Beaches also is a top-notch ballpark that houses the Houston Astros and the Washington Nationals! Beyond the spring training season, the FITTEAM ballpark hosts many other events. It is equipped with five other athletic fields that offer opportunity to multiple different sports such as soccer and lacrosse, as well as an extra 4 lighted basketball courts! Athletes are constantly traveling which makes the Palm Beach area PERFECT to live! Surrounding the area there are 3 major airports including: Palm Beach International, Fort Lauderdale-Hollywood International, and Miami International Airport! 7. Most Importantly.. No State Income Tax! Florida is one of only 7 other states who withholds state income tax! This is great for promoting the growth of the state of Florida. Having this advantage means more ability to creates jobs and give more opportunity to the younger population to move and stay living in Florida! Holly Meyer Lucas is a top producing and nationally recognized Sports & Entertainment Realtor based in the Jupiter area. Her clients range from high-profile professional athletes, to up-and-coming minor league prospects. As the leader and founder of the award winning Meyer Lucas Real Estate team, Holly and her team of real estate agents are a group of high energy, top agents who put their clients’ priorities first and have fun doing it! If you’re thinking about buying a home, selling a home, or investing in real estate, contact Holly Meyer Lucas and the Meyer Lucas team today. With today’s technology, your home can be smarter, safer, and more efficient with the help of a few gadgets. Why work harder when you can work smarter? By adding smart technology to your home, you can add value, reduce energy costs, save time, and much more! That’s why we’ve compiled 5 awesome gadgets you should seriously consider adding your home! Are you thinking of redesigning or redecorating spaces in your home? You’ve come to the right place! We’ve got all the tips and tricks to successful home designing in this A to Z list of design advice. Are you having Honda Classic Withdrawals like us? If you are looking to get back on the green and take a few swings of your own, we’ve got you covered with all the places near Jupiter, Florida to play golf! And if you aren’t ready to tackle a real golf course, but you still want to enjoy some friendly competition, scroll to the bottom to find out where you can play a round of mini-golf in J-Town! In honor of St. Patty’s Day weekend, we think it’s fitting to write a blog about how you can strike rich with gold this year as a homeowner. Follow these tips and tricks to wind up with a bigger pot o’ gold at the end of the rainbow (or the year). JUPITER, FL, USA, March 14, 2019 --- In March of this year Holly Meyer Lucas, founder of Meyer Lucas Real Estate in Jupiter, Florida, was featured in the Florida Realtor magazine. Compass is a tech-forward real estate company whose mission is to help everyone find a place. The brokerage is shifting the paradigm for the real estate industry by connecting the industry's top talent with technology which enhances the entire real estate experience for home buyers and sellers alike. The national, New York based brokerage New York expanded into Florida during 2015. Since Compass' expansion into the greater Miami area, locations have been established across the state including in Naples and Jupiter. Today Compass Florida is home to more than 500 real estate agents. Holly Meyer Lucas' recognition being a top 25 producer of Compass Florida in 2018 is incredible accomplishment. By living out the eight core entrepreneurship principles of Compass she has set a new standard of client service. As wife of a professional athlete, Meyer Lucas recognized the need and demand for a realty team who specializes in professional athletes in Jupiter and the Palm Beaches and thus started her successful career as real estate agent. While Meyer Lucas is known locally and recognized nationally for her work with professional athletes and entertainers, she and her team treat each client like an MVP. Meyer Lucas Real Estate, is a top producing real estate team with offices in Jupiter, Florida and Scottsdale, Arizona. Founder and president, Holly Meyer Lucas is recognized as an expert in the field of real estate, specifically within the sports & entertainment luxury real estate niche, serving as the Realtor for many professional athletes who reside in the Jupiter and Palm Beach area. She has been featured across numerous national and local publications and media outlets, including offering her expert perspective on local real estate news in the Palm Beach area. Meyer Lucas agents work with a range of clientele, from first time homebuyers to multi-million dollar luxury estates. Learn more about the Meyer Lucas team at www.meyerlucas.com. Compass is a real estate technology company with a powerful end-to-end platform that supports the entire buying and selling workflow. We deliver an incomparable experience to both agents and their clients all in service of the Compass mission: to help everyone find their place in the world. Founded in 2012 by Ori Allon and Robert Reffkin, Compass operates in 12 regions across the United States: New York City, Los Angeles, San Francisco, Boston, Washington, D.C., Chicago, Dallas, Miami, Orange County, The Hamptons, Santa Barbara and Montecito, and Aspen. Learn more and find your place at www.compass.com and compass.com/careers. It’s St. Patty’s Day Weekend! If you know us, you know we LOVE celebrating holidays at MLRE. It gives us an excuse to dress up, celebrate, and of course, change up our home decor and design (because why not?). So, to get in the spirit of St. Patrick’s Day this year, we’ve decided to bring you 5 ways to get all the green and gold vibes in your home. Holly Meyer Lucas to be Featured on RAPB + GFLR's South Florida Summit along side Bravo’s Million Dollar Listing star, Josh Flagg. blog provided by RAPB + GFLR. It’s no secret that we live where others vacation, but South Florida is not merely a top tourist destination – it’s quickly becoming the hot spot for the Northeastern migration. From rapid commercial development to profitable niche markets, our unique area is positioning for multilevel expansion. Hear from celebrity speakers and panelists on what’s causing this trend at the South Florida Summit, presented by the Realtors® of the Palm Beaches and Greater Fort Lauderdale (RAPB + GFLR). The South Florida Summit, the area’s largest Realtor® conference and expo will take place on April 3rd at the Signature Grand in Davie, Florida. THE SUMMIT IS HEADLINED BY KEYNOTE SPEAKER, JOSH FLAGG, REALITY TV STAR OF BRAVO’S MILLION DOLLAR LISTING LOS ANGELES. He is one of America’s most successful and sought after luxury real estate agents, having completed more than two billion dollars in residential real estate sales in the past 13 years. The South Florida Summit will feature an interactive panel discussion on the latest trends in our area led by three of South Florida’s top real estate agents, Holly Meyer Lucas, Tim Elmes, and Billy Nash. Holly Meyer Lucas is nationally recognized as the industry leader in the Sports and Entertainment real estate market. She has completed over 100 real estate transactions involving professional athletes in the Jupiter, Palm Beach, and Treasure Coast areas.